At Barbie's Hair World located in New York City; personalized service concerning custom blended human hair is our number one priority. With over 25 years of experience in the custom blending human hair industry; which originated in New York City; we know all there is to know about custom blending human hair. It is important for us to make our customers feel beautiful and happy about their custom blended human hair purchase. Our human hair experts will assist you in achieving your desired look with our legendary quality custom blended 100% human hair. Barbie's Hair World is known in the beauty industry and is a staple of the New York City custom blending human hair industry as having top quality human hair and exceptional service. Our 100% human hair can be custom blended for hair weaving, hair braiding, hair extensions, human hair wigs and many other techniques and styles that utilize human hair. Each and every customer that comes to our New York City showroom is given a one on one consultation with a human hair specialist before their human hair order is custom blended to flatter and distinguish them from the rest; the possibilities are endless with our 100% human hair. Contact us to experience personalized customer service that is known in New York City and around the world or visit us in Queens, New York. 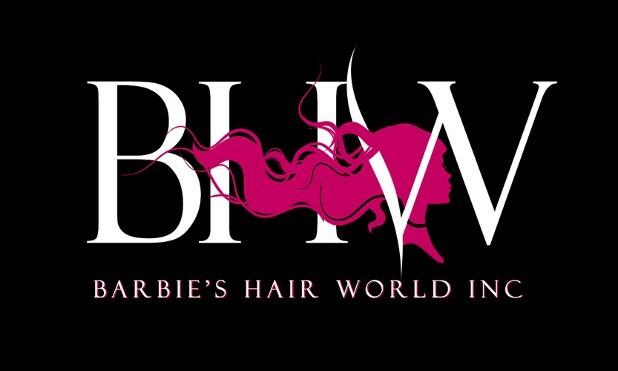 Let today be the last day you hate your hair and let Barbie's Hair World 100% Human Hair transform you! Today For Outstanding Personalized Service and Quality 100% Human Hair.